Before attending law school, Jessica worked for a private immigration attorney in Albuquerque, New Mexico. She focused on family sponsored cases, and loved doing the work she was doing. She is the mother of two small daughters who drive her desire and passion for justice. She is incredibly grateful to have received support from Keller & Keller, and is proud to be on the journey toward entering the legal profession as an attorney. Dyea graduated from the University of New Mexico in 2015 with a Bachelor of Arts in Political Science. She took an interest in the legal system after completing a high school civics assignment that required her to review and analyze a SCOTUS opinion. 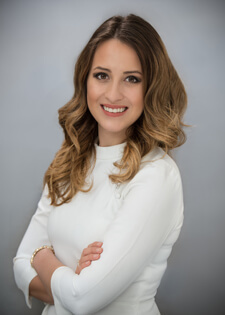 While pursuing her undergrad she worked for a local Albuquerque law firm where her interest in law developed into a desire to pursue a legal education. After graduating from the University of New Mexico, Dyea held various jobs including a legal analyst position for the New Mexico State Senate and administrative compliance positions in the New Mexico Film Industry. In 2016, Dyea welcomed her beautiful son Jaxton into the world. Both the experience of becoming a single mother, and her desire to be a strong role model to her son motivated her to apply to several law schools and to re-enter the legal field. She became a legal assistant at Dathan Weems Law Firm, LLC, where she learned the importance of being compassionate, understanding, and diligent in the practice of advocating for injured people. Dyea was elated to be admitted to the University of New Mexico School of Law Class of 2021. She looks forward to pursuing a career in the field of personal injury and using her legal training to represent individuals that have been injured as a result of domestic and sexual violence. David Rhee is a native New Mexican, born and raised in Albuquerque. David graduated from Albuquerque High School and received his Bachelor's Degree in Spanish from the University of New Mexico. David has been involved in the legal community as a paralegal since 2016. He has worked in Immigration Law and Personal Injury Law. His fascination with languages prompted him to learn Spanish and Portuguese. As a multilingual paralegal he has been able to help the non-English speaking community of New Mexico navigate both the local and federal legal systems. 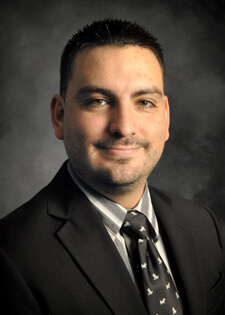 He is currently enjoying working under a Plaintiff's Attorney and attending his first year at UNM School of Law. David enjoys music and is a musician, he plays the drums at his church and has been playing music for over fifteen years. David also has a long history of volunteer work both locally and internationally. He is loyal to New Mexico, its communities, and helping New Mexicans. David is a family man and is inspired to become an attorney by his wife and his son. He looks forward to continuing helping all types of people in his community as an attorney.